Snapchat, fresh off a redesign that managed to piss off just about the entirety of its user base, is reportedly getting ready to introduce a new feature that no one (except its stockholders) has been asking for: unskippable advertisements. According to Digiday, citing three sources with “direct knowledge” of Snapchat’s plans, the company is getting ready to insert six-second video ads that will run during select Snapchat Shows—the short-form video programming from major media companies that run on the platform. Tests of the new advertising format, which Snapchat is creatively calling “Commercials,” are slated to start May 15. For the time being, the ads won’t appear in Snapchat’s Discover feed or in between Stories posted by users. The decision to start inserting unskippable advertisements between its content seems to be an admission from Snapchat that its current model just isn’t working. When the company filed for its initial public offering last year, it was already hemorrhaging money. Things have not improved since going public, as the company has continued to be unprofitable. Snapchat posted its most successful quarter ever in the fourth quarter of 2017, and it still managed to lose $350 million. Things are likely not going to look much better when the company offers its first-quarter earnings for 2018. The last few months for Snapchat have been marked primarily by turmoil, with users raging against a redesign to the app. 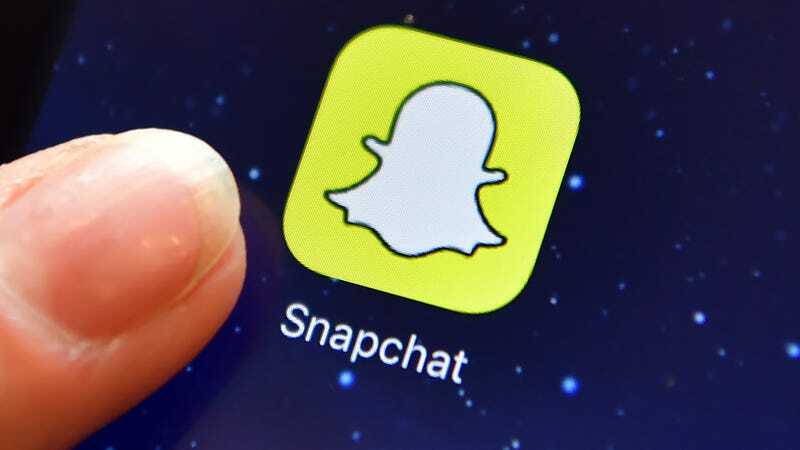 More than one million people signed a petition to make Snapchat go back to its previous interface, which forced the company to acknowledge the frustrations of users—though Snapchat ultimately said the new design is here to stay. We won’t find out just how much of an impact the redesign has had on Snapchat’s fortunes until May 1st, and it’s entirely possible that it will have no impact on the company’s bottom line whatsoever. While TechCrunch reported 83 percent of users gave negative reviews to the new Snapchat, Verto Analytics said in March that there was next to no change in the app’s number of daily active users. Perhaps more important for Snapchat, which will likely never catch the photo and video-sharing behemoth that is Instagram, is how long people spend on the app. Internal data from Snapchat published earlier this year by the Daily Beast revealed that the average user spent a total of 34.5 minutes per day on Snapchat as of September 2017—just before the company started rolling out its much-maligned redesign. Snapchat needs to start maximizing the profit it can squeeze out of those minutes, and quick. While people spend slightly less time per day on the Facebook-owned app, advertisers much prefer it to Snapchat. A survey from earlier this year found that 96 percent of advertisers would rather place their ads on Instagram than Snapchat. It doesn’t help that 69 percent of users reportedly skip the optional ads that run on Snapchat. It’s unclear just how many viewers Snapchat Shows attract and how profitable advertisements on the content will prove to be. But hey, it beats making another wearable camera.